New York City has clear guidelines regulating the minimum temperature in buildings during "heat season." As the days grow colder, your apartment should start heating up. New York City has clear guidelines regulating the minimum temperature in buildings during "heat season" — the period of time during which landlords must provide heat based on the temperature outside and the time of day. As of Oct. 6, the city's Department of Housing Preservation & Development had already received 1,036 complaints for the current heat season, with the highest number of complaints coming on Oct. 1 — the first day the regulations went into effect. Last year year the agency received 237,622 complaints, according to its website. Heat season runs from Oct. 1 to May 31 in New York City. 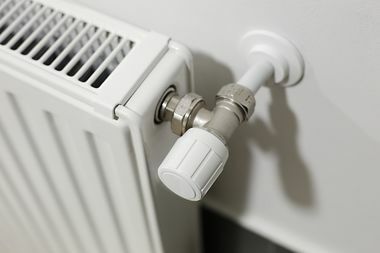 Landlords must also provide hot water at a consistent temperature of at least 120 degrees Fahrenheit, 365 days a year. How warm should it be in my apartment? During heat season, property owners must follow rules about how warm it is in their buildings. • Between 6 a.m. and 10 p.m., if the temperature outside falls below 55 degrees, the inside temperature must be at least 68 degrees. • Between 10 p.m. and 6 a.m., if the temperature outside falls below 40 degrees, the inside temperature must be at least 55 degrees Fahrenheit. What should I do if the heat's not on in my apartment? Call your landlord or super to report the problem. If the heat doesn't come on, you can file a complaint with HPD by calling 311 or visiting 311ONLINE. You can also log complaints using the city's 311 mobile app. You can also check the status of your complaint or look up open heat and hot water violations in your buildings by visiting HPD's website. If the situation has not been remedied despite reporting it to your landlord and 311, housing court may be your next step.